"Beverly, I was so sorry to read this sad news. 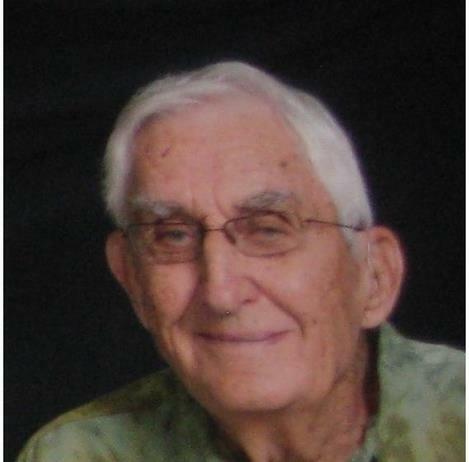 I'll..."
Alden W. Backhaus 93, passed away Nov. 22, 2018 in Lawrence, Ks. He was born in Ida Grove, Iowa Nov. 22, 1925 to Alfred and Louise (Paulsen) Backhaus. He attended country school and Ida Grove High School. He joined the Army in 1945 and served in the South Pacific during WWII on the Island of Okinawa, Japan. He was discharged in 1946. He was a member of The American Legion Post 61 for 72 yrs. He married Beverly Morgan in 1957. To this union were born Kerri, Brian and Robert. Alden was a lifetime farmer. He was a member of St Paul Lutheran Church of Ida Grove. He was interested in cars, and had many during his lifetime. He read western novels, playing cards, dancing and riding his ATV around the farm. In 2014 Al and Bev retired to Lawrence, Ks. to be near family. Survivors are his wife Beverly, and children Kerri of Glenwood, Iowa, Brian (Samira) Sacramento, Ca, Robert (Kimiko) Brentwood, Ten. Grandchildren Jack, Joe (Alyson), and Andrew (Sara), Step granddaughter Ally Watt. A brother Charles (Donna) of Altamonte Springs, Fla, Brother in-law Douglas and sister in-law Pamela Morgan of Lawrence Ks, Sister in-law Juanita Johnson of Holstein, Ia. Claire Smyth of West Palm Beach, Fl. Many nieces and nephews. Deceased are his parents Alfred, and Louise, Sisters Enid (Ferguson), Junid (Guess) and Barbara, brothers Edwin and Philip. Services are pending for this summer in Ida Grove, Iowa.